Seems every time I turn around, another one is turning up. 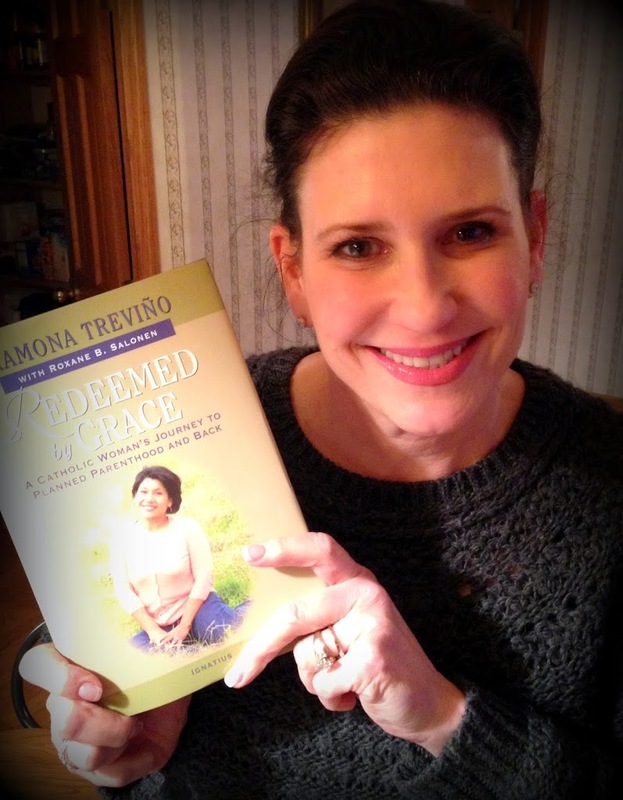 Here’s one of the first sightings of our “Redeemed by Grace” book. 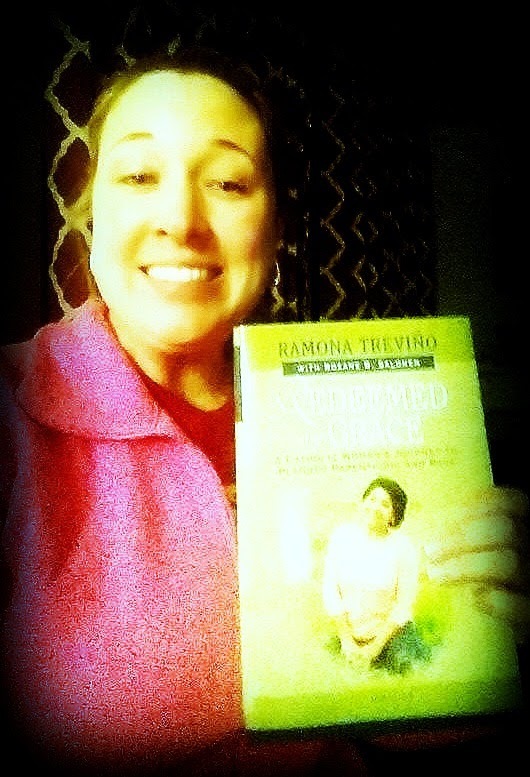 It’s only been out a little more than a week now but the pre-orders helped get this story flying into the hands of those eager to hear how God moved the heart of one Ramona Trevino and transformed her life. This is Aurora. I’ve had the great pleasure of meeting this wonderful woman in person several times now. 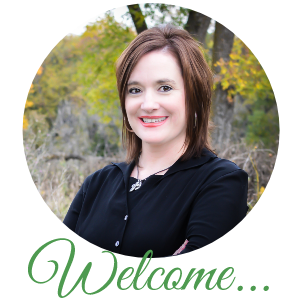 Aurora heads up the Spanish ministry at Catholic Pro-Life Committee of North Texas, Inc. Speaking of which, Ignatius is putting out a Spanish edition of our book soon, too! We’re super excited about that. 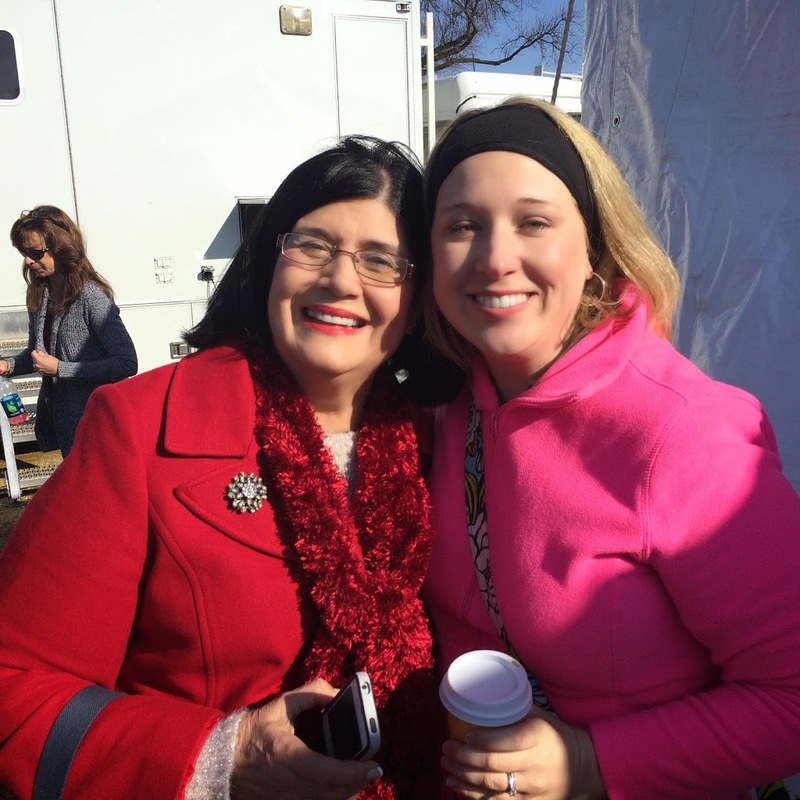 Lauren Muzyka and I ran into Aurora at the March for Life last month over by the Eternal World Television Network tent, where we were in line to be interviewed. We got bumped due to lack of time but it was a thrill to be in the midst of the media action all the same. Oh, and speaking of Lauren, she just received her copies this week! She’s been waiting patiently for them to arrive, especially given her special role in the project. 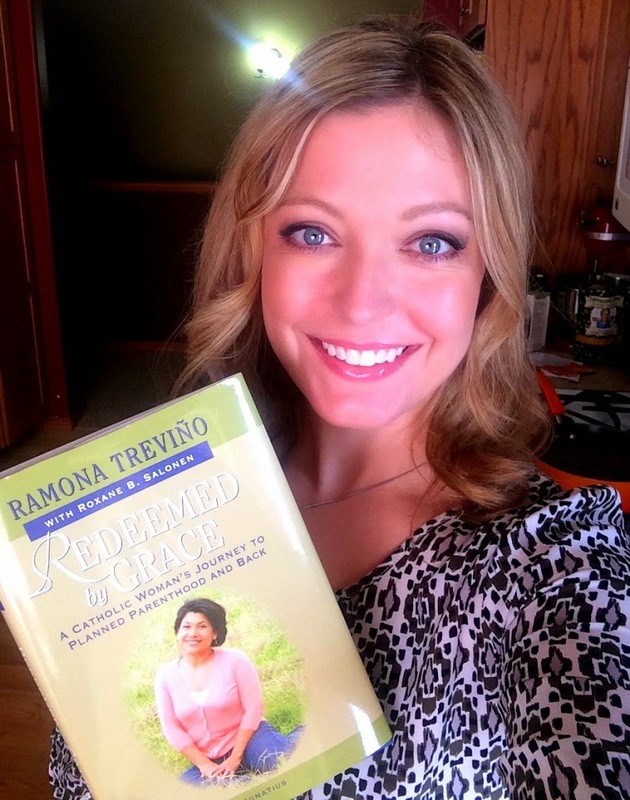 Along with having introduced me to Ramona, Lauren writes the foreword to our book and, well, it’s such a beautiful introduction that we’re pretty sure if you’re not certain why you’re reading “Redeemed by Grace,” after absorbing Lauren’s lead-in, you’ll definitely want to continue! She’s my Mary Kay lady, along with my occasional accompanist when I cantor at church. Oh yeah, and she’s a wife and mother of four adorable kiddos, and just an all-around amazing woman. I wouldn’t want to forget Nancy. She’s a fellow mom of my oldest daughter’s classmate and I really enjoy her. 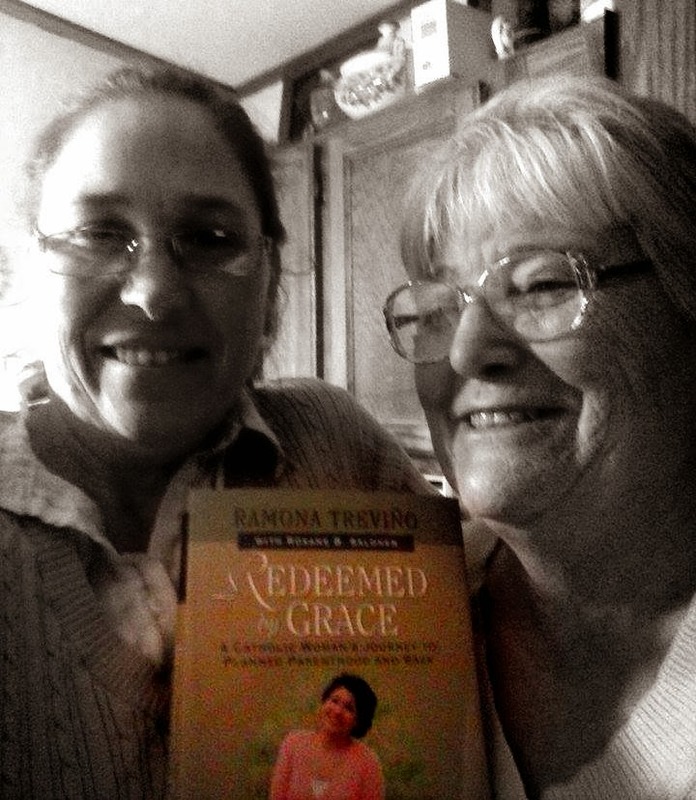 Nancy was one of the first people to see my book the day it arrived on my doorstep. I’d brought it into a local Catholic book store to share it with them, and she happened to be there buying some greeting cards. 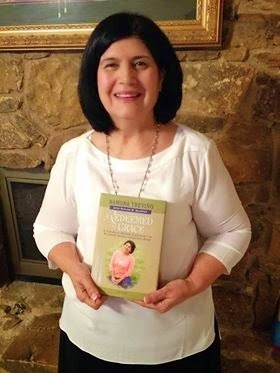 Nancy was so intrigued by the news of our book that she wanted to buy a copy immediately! Oh, and I can’t forget these two. Shari, left, is a LONG time friend. I’m talking all the way back to kindergarten. Yep! 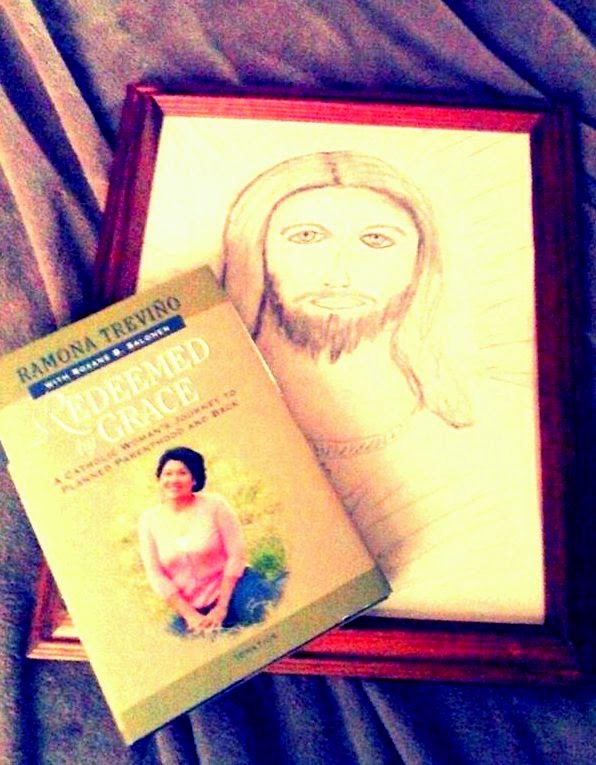 We have known each other since forever ago, and I was so blessed to learn how quickly she ordered the book after finding out it was “out there.” She bought it for her mama, Jeanne, and presented it to her, along with a drawing she’d done of the Sacred Heart of Jesus. How cool is that? I don’t want to forget this lovely lady, Patti McGuire Armstrong…. She’s a fellow Catholic mother of many and writer from my mama’s hometown of Bismarck, ND, not to mention a true prayer warrior. 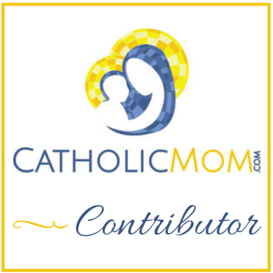 We’ve spent time together on our knees in the cathedral of Bismarck, sending up tandem petitions for our families and sharing the joys and challenges of being Catholic mothers in today’s world. She’s truly a gift to me for so many reasons. Those are the visual sightings that have come onto my radar so far. I know there are more and I look forward to sharing images of them as they become available. By the way, Ignatius Press has developed an author website for Ramona, and you’ll find me represented here as well. Make sure to check it out! 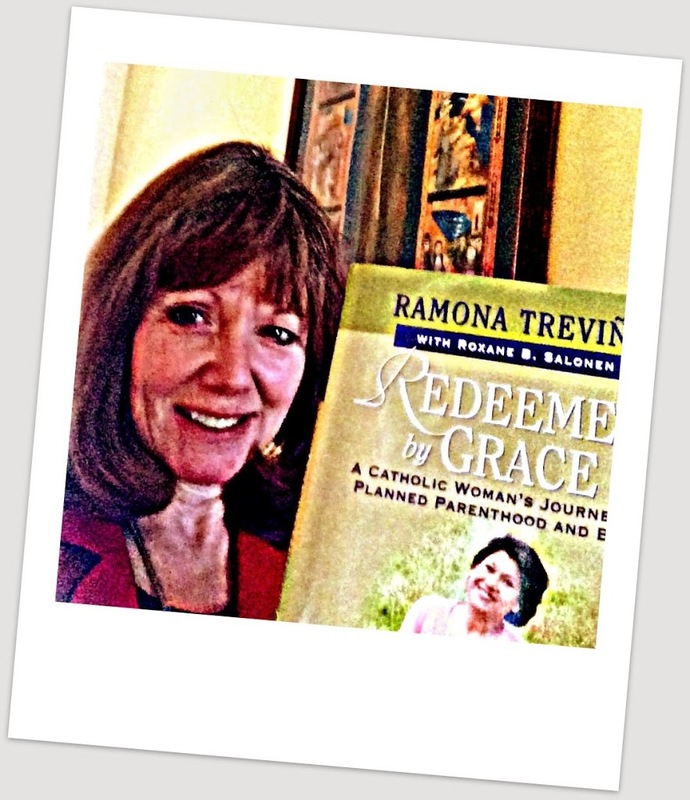 Q4U: Would you indulge me by adding a photo of yourself and our book to my collection? You can send it to rbsalonen@cableone.net. Thank you kindly!